Vancouver concert event photographer Jozef Povazan - Best Vancouver wedding photographer Jozef Povazan Photography studio. Vancouver concert and life event photographer Jozef Povazan studios. Lifestyle storytelling photography with creative images for most demanding clients. 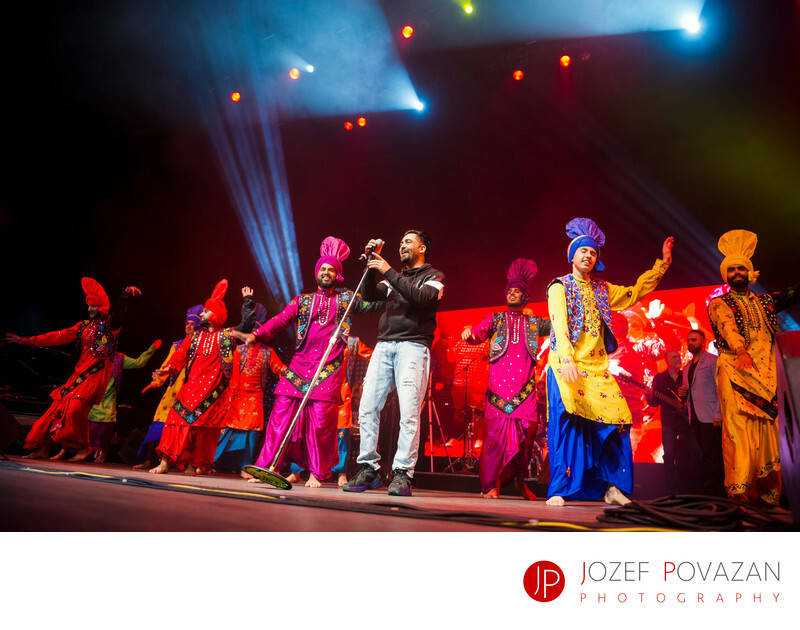 Bollywood star from India Sharry Mann life concert tour in Vancouver was an amazing cultural experience for thousands of guests. The star did entry on a luxury sport Lamborghini racing car straight on the stage of the theatre. The rumble and following music and dance shows were nothing short of amazing. If you are planning a concert event at a venue in Vancouver area we would like to hear from you. Feel free to CONTACT us for more details about our event photography packages. Location: Vancouver Orpheum theatre, BC, Canada. Keywords: Award winning photographer (327), bollywood (18), concert (18), Indian music (18), sharry mann (18), Vancouver concert photographer (3).